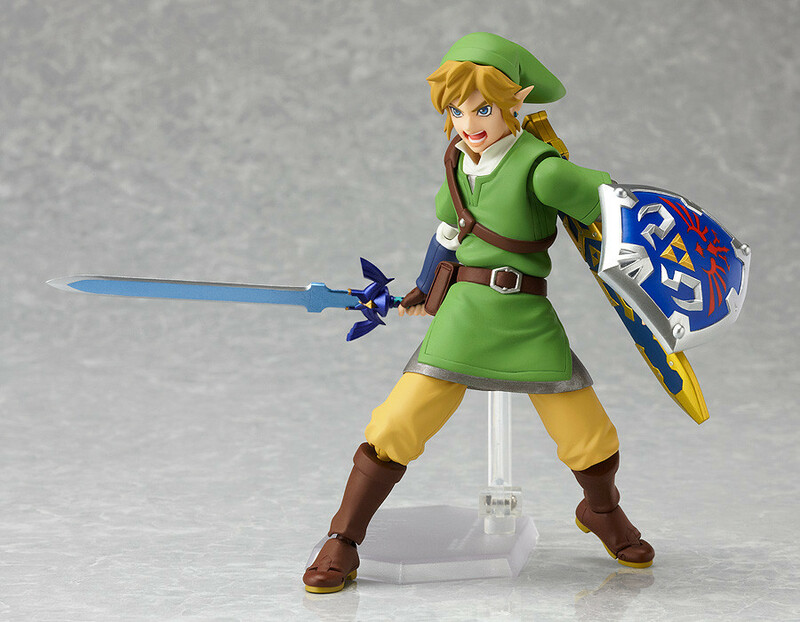 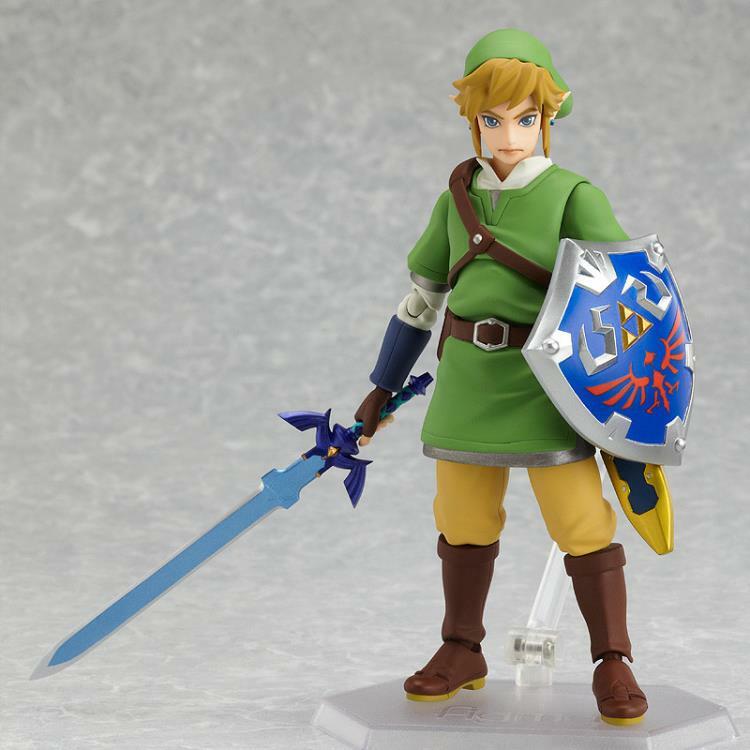 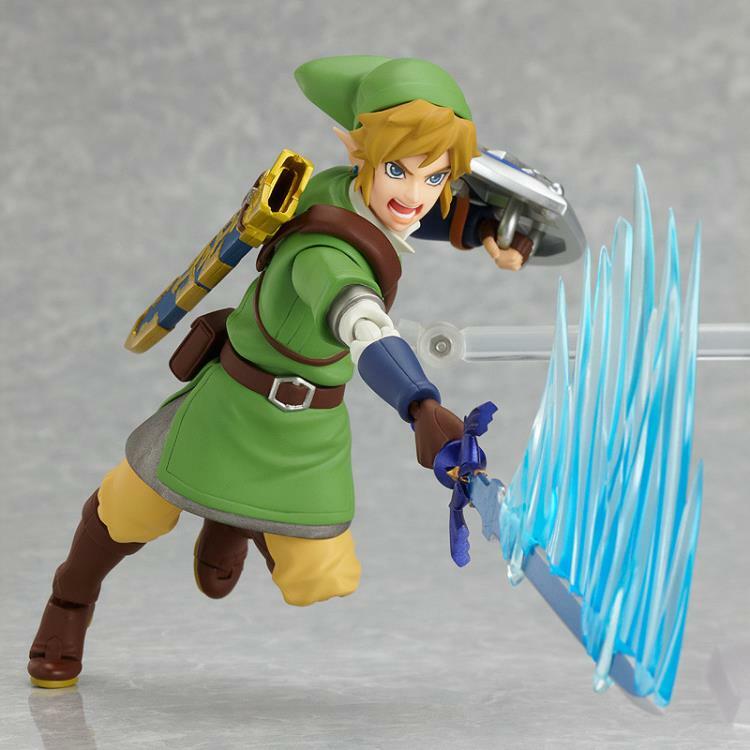 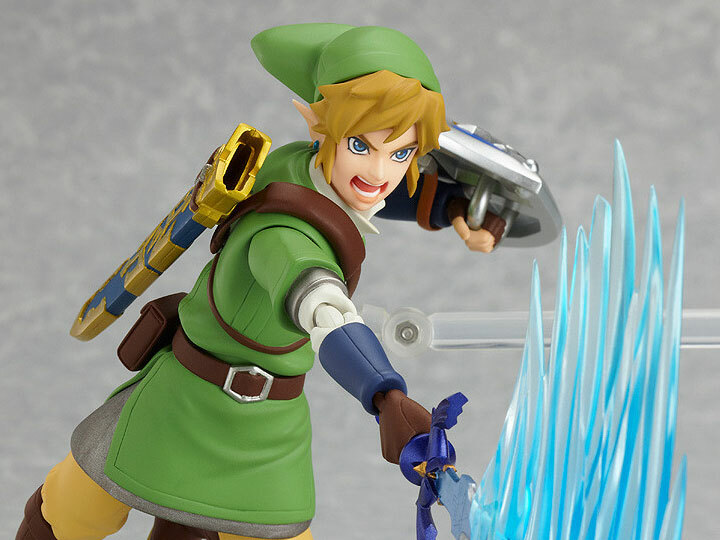 From the popular action adventure Zelda series' newest addition, 'The Legend of Zelda: Skyward Sword' comes a figma of the main character of the series, Link! 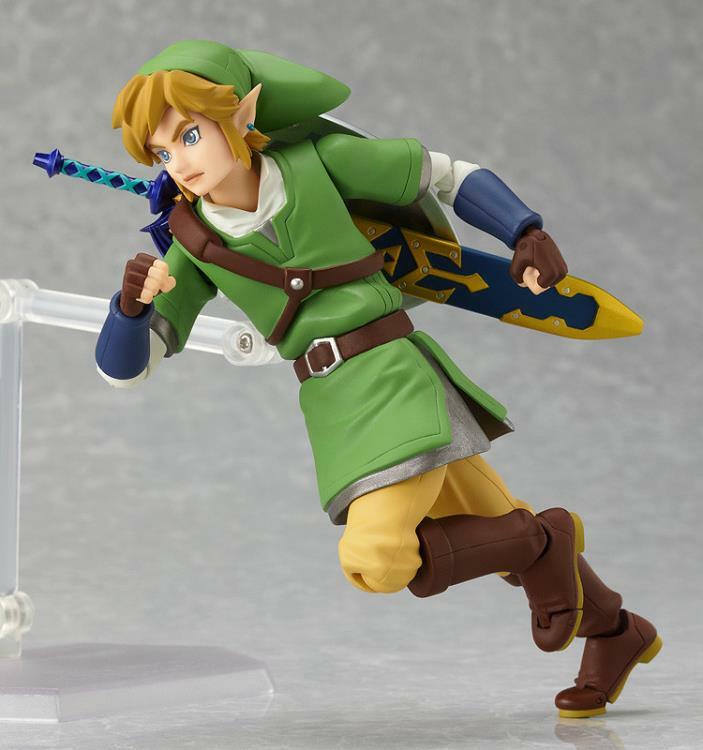 -A flexible plastic is used for important areas, allowing proportions to be kept without compromising articulation. 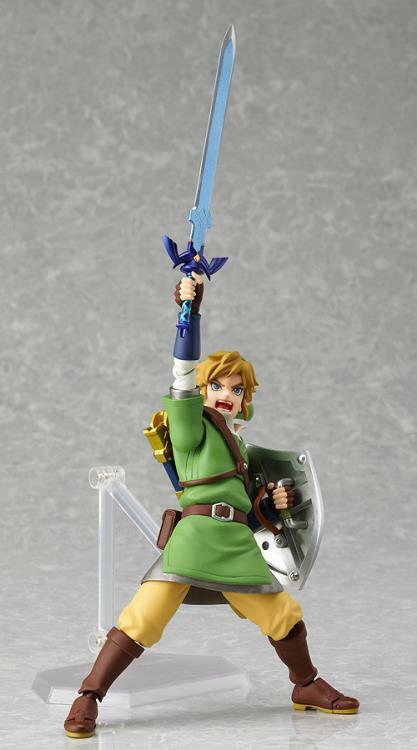 -He comes with his standard gallant expression, as well as a powerful shouting face for combat poses. 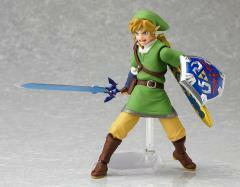 -The Master Sword as well as the Hylian Shield are both included. 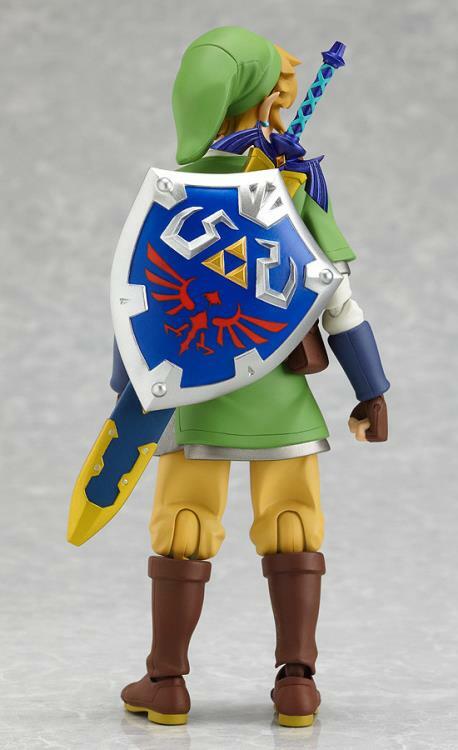 They can also be carried on his back as they did in the game.